The Bosnian Croat, Lovro Mihačević (1856-1920), also known as Laurentius Mihačević, a Catholic religious figure and writer, was born in Kreševo in central Bosnia and was educated by the Franciscans. 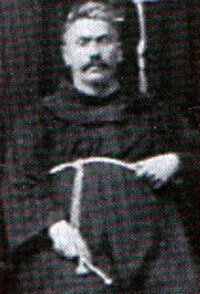 He finished his theological studies in Esztergom (Hungary) in 1880 and was ordained as a Franciscan priest. Mihačević arrived in Albania in August 1906 to take up his position as the first provincial of the new Franciscan province of Shkodra. He soon learned Albanian, taught at the Franciscan college in Troshan, and is remembered to have had an influence on the young Gjergj Fishta, who was later to become the national poet of Albania. Mihačević is the author of the Croatian-language volume ‘Po Albaniji: dojmovi s puta’ (Through Albania: Travel Impressions), Zagreb 1911, translated in German two years later, in which he gives the following account of his journey through Kosovo and over the mountains to Shkodra in 1907. Early on the morning of 4 September  we set off on our railway journey from Skopje [Skoplje] to Ferizaj [Ferizovič] and reached our destination at about noon of the same day. The carriage we had ordered was waiting for us when we got there and, when we finished preparations and had purchased everything we needed for the trip, we continued on to Prizren at 1 p.m. In this miserable carriage and on even worse roads we reached the han of Suhareka [Suha Rijeka], the “dry river,” at about 5 p.m. where we all (two secular priests, two nuns and the two of us) rested a while and then at 6 p.m. got back into the torturous vehicle to continue on to Prizren. The distance from Suhareka to Prizren was only two hours, but we were never to forget this portion of the journey. The closer we got to the town, the darker it became all around us, not because it was nightfall, but because heavy black clouds had begun to form in the sky like sacks of coal. It soon began to pour, and very strong winds rose. Lightning flashed in the sombre heavens followed by claps of thunder. The rain got worse and worse, as if the gates of heaven had opened to deluge us. On top of this, it was a Wednesday, market day, and the roads were crowded with peasants returning home – some on horseback, others with waggons and yet others on foot. To add to our misery, fate had it that we were to come upon a contingent of Turkish troops that were off somewhere with a train of mules. There was total confusion in the dark of night. The Turks shouted “yavash!”, the Albanians “ngadalë!”, the Croats and Serbs “polako!”, all meaning “slow down!” The one of the horses bucked and kicked against our carriage, sending it flying in the wrong direction, right into a group of people whom we first noticed in the dark when a flash of light lit them up for an instant. Shouting, screaming and – alas – cursing then took place in all three languages. The buffets of wind left our carriage in a dreadful state. We were twice thrown out of it and once, another waggon smashed into ours, causing great damage. Weeping and moaning echoed in the dark. Some people cried for help, but it was impossible to assist anyone because, in the confusion, everyone was busy saving himself. On top of this, it was pitch dark and pouring rain, with thunder and lightning so that no one knew what was to be done first. The only thing that all of the travellers knew was that on both sides of the road, there were deep and dangerous ditches and that if you fell into them, you would need a miracle to survive. Whenever a bolt of lightning struck, we could see packsaddles scattered all over the road, with no sign of their owners or horses. We could also see clusters of people standing at the roadside, holding hands so as not to fall into the ditches in the dark. We then saw many of the horsemen returning to town, even though they had just left it. They seemed to have lost their sense of direction and were not aware that they were going back. Under such conditions, with the incredible confusion and constant peril to life and limb, it is no wonder that it took us a full four hours to get to Prizren instead of two. In Prizren, we were lodged by His Grace, the Archbishop, Monsignor Pasquale Troksci [Alb. Paskal Trokshi] who received us with exceptional love and kindness. He also provided us with a good meal which was what we needed most at that moment. The next day, we visited the town. I noticed immediately that Prizren was set in a splendid location and had good water. Other towns may praise the virtues they have, but Prizren can boast that it offers wonderful views and has healthy drinking water direct out of the mountains. For this reason, however, the air in Prizren in very damp, which causes miasma and leads to germs in the air. Prizren is situated at the foot of Shar-Dag [the Sharr Mountains] and is dominated by its highest peak, Mount Luboten [Ljubeten]. To the west of Prizren rises Mount Pashtrik, under which the Drin River flows. On one side of the town begins an attractive plain that stretches along the banks of the Bistrica and in the distance one can see Mount Koritnik. These mountain ranges all surround the rich and fertile plain of Podrima that is known throughout Albania and Macedonia. Prizren has about 30,000 inhabitants, including people from all three faiths. The most numerous are the Muslims, then the Orthodox and finally the Catholics, who, however, have a parish of their own with a beautiful church. Also to be noted is the fine monastery of the reverend Sisters of Saint Vincent de Paul from the province of Zagreb. In the years 1000 to 1275, the Serbs and Bulgarians fought over ownership of Prizren until it was conquered by the Serbs and the residence of the kings of the Nemanja dynasty was transferred there. The Catholic Metropolitan resided in Prizren until 1680 when the Turks drove all the Catholics away and the Metropolitan moved to Janjeva [Janjevo]. There he remained until 1821 when Bishop Matthew Krasnič moved the seat back to Prizren. As to the main part of Prizren, the Charshia, one can simply note what is to be said about many other Oriental towns: it consists of irregular rows of huts and shops, filthy all of them, so that the observer has soon had enough unless he is looking for something particular. The Romans called Prizren Theranda and it was through this city that the famous Via Egnatia passed, leading to Constantinople and Salonica. The next day, we journeyed from Prizren over the fertile plain of Podrima to the town of Gjakova [Djakova] that is six hours away. It has 12,000 inhabitants and is situated on the plain. The town produces excellent weapons, in particular rifles and sabres. Here, too, the Catholics have a parish. They also have a little church with a miracle-working statue of Saint Anthony of Padua. A Franciscan is responsible for organising and holding mass. From Gjakova we continued on to Peja [Ipek] which is six hours away. The town has 15,000 inhabitants, a Catholic parish and a fine parsonage. The flat plain of Metohia [Metochija] stretches forth in front of the town. Before we reached Peja, however, we visited the famous monastery of Dechani that King Urosh III of Serbia had built in 1330 together with a beautiful church, and in which he and some other Serbian rulers lie buried. We spent two days in Peja, visited all the ancient sites, cemeteries, kullas and fortifications in the surroundings, and then continued on to Mitrovica. After travelling for four hours, we arrived at the village of Zllokuqan [Zlokuchani] where there is a Catholic parish, right at the source of the White Drin. The next day, we set off for Mitrovica on the Ibër [Ibar] River. This is the right place to say something about Kosovo Polje. Kosovo Polje (Plain of the Blackbirds), often just called Kosovo, is a long alluvial plain through which the Sitnica River flows to the north and the Nerodimja [Nerodimka] River flows in the south. It is three to four hours wide, in some places over five hours, with an average elevation of over 500 to 550 m. Mount Çyçavica [Chichavica] divides Kosovo from Metohia. It should be noted that all of these plains with their various names are connected to one another and constitute a unit. For instance, the part between Gjakova and Prizren is called Podrima. Kosovo Polje is surrounded on all sides by mountains. Mitrovica itself has neither ancient sites nor any other places of interest because it is a new town that only rose and gained prominence when the railway line was finished. It is in a very strategic location because it is not far from the borders of Bosnia, the Sanjak of Novi Pazar, Serbia and Albania. I was very intent on finding a place, a lookout, from which I could see everything all at once. Our local guide understood what I wanted and pointed to Mount Zvechan that rises above the town of the same name and seemed to provide the best view. We thus climbed to the top before continuing our journey through Kosovo to visit its towns, villages, monasteries and old graves. Our exhaustion was richly rewarded. At the end of the plain of Kosovo, where the small Sitnica River flows into the dashing waves of the Ibër, rises a proud fortress 1,500 m. high, on which there is a castle and a church high up in the azure sky. There is no garrison in the fortress, no guards to keep watch in the many towers, and the chanting priests have long left the church. Everything is destroyed and lies in ruins. An ominous, deathly silence reigns in Zvechan. Looking southeastwards, one can see the broad expanses of Kosovo Polje, through which a silver serpent, the Sitnica, winds its way. It is a huge plain that is divided into two by the Çyçavica mountain range that stretches from north to south. Farther to the south, we could see the barren peak of Mount Golesh that resembled a huge tortoise. We could also see the three main towns of the three plains of which Kosovo consists: Prishtina in Kosovo proper, Peja in Metohia and Prizren in Podrima. Farther on was Gucia [Gosinje] at the foot of two mountains. On the Bistrica was the town and the monastery of Dechani, and yet farther away was the town and fortress of Gjakova. So much could be seen from that lofty vantage point. The word Kosovo is of particular importance in southern Slavic history. It is pronounced wistfully by Serbian and Turkish mothers because many of their sons lost their lives there. Young men sing songs about Kosovo, in remembrance of the heroic deeds of their ancestors. Old men refer to Kosovo ominously, as a word that brings death and destruction with it. The Serbs sigh when they mention the word for it was here, on this plain, that the battle was fought that made Turkish rayah of a free people. The Turks, on the other hand, refer to it with pride for it was here that they were “victorious over tsardom.” Indeed, it is a highly significant site in history, where two rulers lost their lives. Their graves still exist, as do those of the many Serbian and Turkish heroes who fell here. They fought for sceptre and crown on the plain of Kosovo. At the foot of the mountain and fortess of Zvechan was once the town of Zvechan. Today it is abandoned and in ruins. 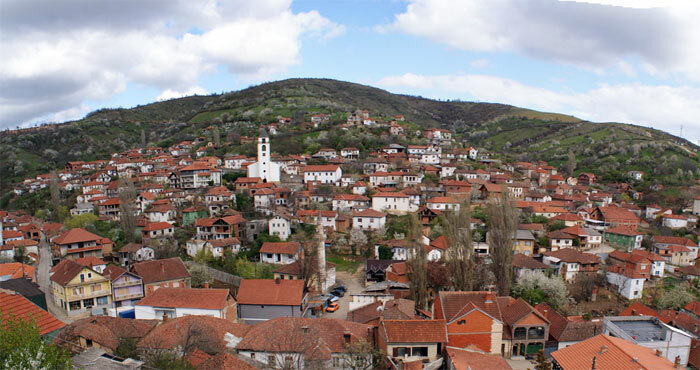 In its stead, on the right bank of the Ibër is the town of Mitrovica with about 450 houses. Recently, quite a number of foreigners from Serbia and Bosnia have settled here. Indeed in the northern part of the town, there is a whole neighbourhood of them that is called Boshnjaci (Bosniaks). It was built and is inhabited entirely by Muslim immigrants from Bosnia. I was very sorry that time did not allow me to pay a visit to these people of mine and inquire as to how they were getting along. Both the Catholics and the Schismatics have parishes here. We left Mitrovica the next day and headed towards the Sitnica River. We managed to get across on a ferry, got back onto our horses and set off in a southeasterly direction along the river. A short while thereafter, we arrived at the little town of Vushtrria [Vuchitrn], meaning ‘wolf’s thorn.’ In early documents in old Slavonic it is called Vlchitrn. The town was formerly of great importance as it was the seat of the eparchy. Today it is no more than a village. From Vushtrria the road took us upwards until we reached a plateau watered by the Samodrezha [Samodreža] River. On the riverbank, we soon saw a church and the village of Samodrezha. In Serbian oral epics, this church is the one in which Tsar Lazar and his men took communion before the historic battle of Kosovo Polje. According to tradition, this church had no less than 13 domes, but it was razed to the ground by Sultan Bayazid right after the battle. The plain that stretches from Samodrezha to the Sitnica and to the Llap [Lap] River is two hours in length and just as wide. Nowadays it is a wasteland covered in thistles and thorns. It was on this plain that the army of the Serbian Tsar Lazar stood in 1389. The right wing stretched to the Sitnica and the left wing was positioned to the north of the Llab, near the mountains that separate Kosovo from the north. The plain between the Llab and Prishtina is called Shiroko Polje (Wide Plain) and it was there that the Turkish army set up its camp in 1387. Nowadays, one can see a huge old graveyard. Above it there is a hill from the top of which one can see all of Kosovo. 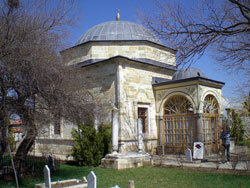 Sultan Murad stood there before the fatal battle in which he was killed by Milosh Obilich. Today one can visit Murad’s tomb there. The mausoleum or türbe is a medium-sized, cube-shaped building with a dome, actually a small mosque made of white stone, without a minaret. Around the mosque are several nice buildings inhabited by the sheikh who takes care of the mausoleum and of the pilgrims or hadjis who visit it. It is surrounded by a well-tended garden and a good number of leafy trees. Its walls are covered in endless pieces of paper framed under glass that tell of the genealogy of the sultan, the circumstances and date of his death and include various sayings from the Koran. In the mosque itself is a tomb with the headstone towards the west, that is covered in precious carpets. Two wax candles burn at the head of the tomb day and night, and two at its foot. Above the tomb is a bronze candelabra with six modern oil lamps. Visitors of all religions are welcome here. We were asked by the caretaker of the sanctuary whether we intended to spend a few days here, so that he could prepare everything needed for our board and lodgings. We thanked him kindly, gave him a generous bakshish and continued on our way. All the way to Prishtina, we passed through old cemeteries with crosses and turbans, a clear indication that Christians and Muslims are both buried here. At two in the afternoon we reached Prishtina. It is set in a splendid location at the junction of two valleys and at the point where two rivers flow together right in the middle of the town. These are the Velusha and the Stara Rijeka (old river). The town actually consists of only four streets: Panagjurishte, Varosh, Ciganlija and Pirinas-Mahala. Between them in the middle is the market square or Charshija. Two of the mosques in the town are worthy of mention: the Murad Mosque which is so-called because it is said to have been built by that sultan, and the Bayazid Mosque which arose out of the old church of the holy archangels. Prishtina has 21,000 inhabitants and is the seat of a mutesarrif. With the exception of a few Orthodox, the inhabitants are all Muslims. At the time of the Serbian Nemanja dynasty, Prishtina was not only the capital of all of Kosovo but also one of the greatest cities of Serbia. It was in Prishtina that Stephen Urosh III of Dechani, Tsar Dushan and Tsar Urosh IV resided. Today it is the capital of a nahiye that comprises over 122 villages. We left Prishtina that same day for Grachanica that is situated two hours to the southwest. The road to this monastery leads over Mount Veternik to the Grachanica River where the monastery and the village of the same name are located. This large and important Orthodox monastery is surrounded by the mountain ranges of Veleten, Veternik and Lozinje and is located on the banks of the Grachanica that flows into the Sitnica near Dobraja [Dobrija]. Of particular significance is the large and beautiful monastic church dedicated to the Mother of God that was completed in 1320 by the Serbian King Urosh II Milutin and was consecrated by his successor Urosh III of Dechani in 1322. The Church of the Mother of God was built in Byzantine style. It is 22 m. long and 15 m. wide. It is roofed in lead and has five domes. From Grachanica we continued southeastwards to the town of Janjeva. It is a journey of about three hours and the road leads over Mount Veleten. 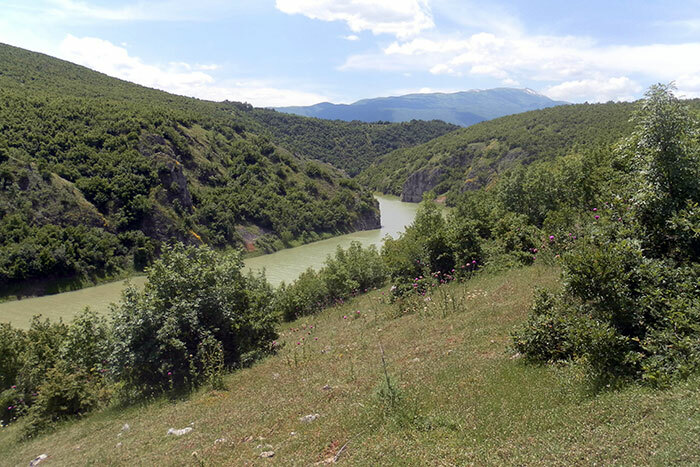 When one crosses the mountain and reaches the bank of the little Janjevka Creek, one has already entered the settlement that is located on both sides of the creek. Janjeva is still of some importance nowadays and has 2,000 Catholic and only about 100 Muslim inhabitants. The Catholics who still call themselves Croats after many centuries of separation and isolation have a parish with a beautiful church that has five domes. They are mostly kuyunjis [Tk. kuyumcu], that is to say, goldsmiths and jewellers, for they make brass candlesticks, rings and little crosses that they sell at markets throughout the country. Janjeva is a very old town that was of much greater importance in the past than it is today. Just how old the parish of Janjeva is, can best be seen in the fact that as early as 1346, the Bishop of Kotor [Cattaro] demanded that Janjeva be included in his diocese. In 1433 mention is made here of merchants from Dubrovnik [Ragusa] who, as is known, were great tradesmen in the Balkans in the late Middle Ages and constituted keen competition for the Republic of Venice. From Janejvo we continued along the banks of the Janjevka and arrived three hours later at the town of Lipjan [Lipljan] which is often mentioned in the history of this region. Here in Roman times was the great Dardanian city of Ulpiana or Justiniana Secunda. In the Middle Ages, Lipjan was the seat of a Bulgarian bishop, but it began to decline more and more such that it was easily outshone by Prishtina and Grachanica during the Serbian Nemanja dynasty. The southern part of Kosovo is called Paun-Polje (Plain of the Peacock) through which the Nerodimja flows. It is three hours in length and about four m. wide. 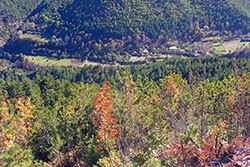 In the middle of the plain is the village of Varosh. In earlier days, in the age of the Nemanja, this plain was well cultivated and evinced the proud castle of Paun-Grad (Peacock Castle). The castle has disappeared entirely and only thistles and thorns now grow in the fields. From Lipjan we continued our journey by railway back to Ferizaj and then by carriage to Prizren. 1. The Mati [Matija] inhabit the upper reaches of the river of the same name, from its source to the point where the Uraka [Urak] creek flows into it. The valley is twelve hours long but much wider, and has 30,000 inhabitants. The tribe is made up of four major clans: Zogolli [Zogoli], Çelaj [Cela], Allamani [Oloman] and Bozhiqi [Buchich]. 2. The Lura [Lurija] tribe inhabits the region between the Black Drin River and Mirdita [Miridita]. 3. The Dibra tribe live between the Black Drin and Lake Ohrid [Ochrida]. To this tribe belong the clans of Lower Dibra that stretches from the right bank of the Drin to Mount Korab and includes many villages under the bajraktar of Peshkopia [Pishkopija]. On the other side of the Drin are the clans Çidhna [Cizna], Muhurri [Mohör] and Luznia [Lösneja] that are all close allies of Lower Dibra. Southwards towards Dibra on the left bank of the Drin are the two clans of Greater and Lesser Gryka [Gröka], whereas the clans Bulqiza [Bulžinci] and Golloborda [Golo Brdo] live in upper Dibra. 4. Çermenika [Cermenika] is situated east of Elbasan and belongs to the latter town. There are twelve villages in this region, the main settlement being Martanesh. 5. Shpat, south of Elbasan, between the rivers Shkumbin [Shkumbi] and Devoll [Devol]. 6. Mokra, south of Lake Ohrid. 7. 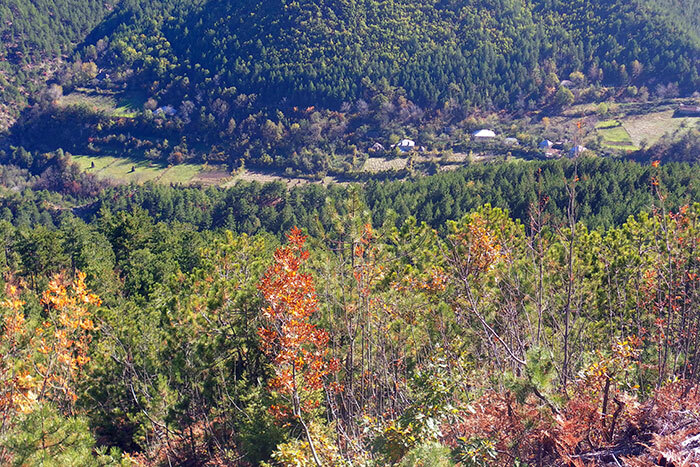 Devoll, east of the town of Korça in the valley of the Devoll River. 8. Opar [Opara] is situated to the west of Korça, not far from the Devoll, near the town of Voskopoja and consists of 35 villages. 1. The Nikaj live on the left bank of the Lumi i Mërturit [Lumi Merturit] River and border on the Shala and Shoshi tribes. 2. The Mërturi [Merturi] on the right bank of the same river down to the point where the Valbona flows into the Drin. 3. The Krasniqi [Krasnichi] live along the banks of the Valbona River, on both sides. 4. Tropoja is in the mountains, at the source of the Valbona. 5. The Gashi are between the Valbona and Bistrica rivers. 6. The Bytyçi [Bituchi] are between the Bistrica River and the Morina [Morin] mountain range. 7. The Hasi are around Mount Pashtrik [Pastrik], between Prizren and Djakova. 8. The Berisha [Berish] are along the Trava [Travait] and Erenik [Evenika] creeks, above Gjakova. 9. The Rugova are along the upper course of the Bistrica River. 10. The Luma are on the slopes of Shar-Dag [Sharr Mountains] and Mount Gjalica. 1. Podrima on the left bank of the White Drin River in the region of Prizren. 2. Prekoruba in the mountains east of Podrima. 3. The Drenica live in the hills between Metohija and Kosovo, with their capital Llausha [Lausha]. 4. The Gora and Opoja [Opala] are on the slopes of Shar-Dag, east of the Luma tribe. I said farewell to Kosovo, got on my horse and set off, looking back constantly towards those famed lands, back towards Kosovo, and then to Metohia and to verdant Podrima, mindful of the Albanian saying “Buk nep Zadrima, e vên Podrima” (Zadrima gives bread, Podrima gives wine). It was a pleasant autumn morning. We had risen early and were now riding from Suhareka, where we had spent the night, towards Prizren and the Bistrica. My roan horse advanced slowly and ponderously as if it knew how long the journey before us would be, as if it wanted to go gently and conserve energy. We thus arrived at the village of Vlashnja where we crossed the Bistrica and reached the banks of the Drin. We soon caught sight of the Luma [Ljuma] River and proceeded along the left bank of the Drin until we reached the Novi Han (New Inn) located on the bank of the Drin. “So this is dreaded Luma!” I thought to myself, “of which I had heard in Scutari.” The inhabitants of its banks have a grisly reputation, even for Albania. They are the terror of the town of Prizren where, as if out of the blue, shrieks of horror of “Luma, Luma!” are wont to echo in the streets. The whole town loses its head at this call. The merchants swiftly close their shops and run home, barring and securing the gates of their courtyards to protect themselves from the attacks of these marauding savages. When we left the New Inn, we had a good look at both banks of the Drin River. On the left we could see the Koritnik mountains and Luma behind them. On the right side was Mount Pashtrik, at the foot of which was the region of Hasi and its villages. There is no easy explanation for the word Hasi. In Turkish, one would use the word has or hasi to describe a tribe or an individual who has received great privileges and special rights from his master, and is now strong, proud and disobedient. In Croatian, there is also an expression that the Croats use for an individual who has attained power and has become self-conceited: ‘poasio se’ (he has become hasi). Indeed, the inhabitants of this region are insolent, hot-tempered and cruel, even though they are appallingly poor. They are tall, have a proud and fiery expression on their faces, have a high and proud brow, and twirl their moustaches. One can see that the name quite suits them. Along the Drin we encountered thick groves of willows, aspens and other trees that are wont to grow near water. Quite by accident, we found ourselves on a high bridge under which the torrential Luma flows and from which the whole region gets its name. The Luma, which means ‘the river’ in Albanian, springs on the western side of Shar-Dag, continues westwards and northwards and finally flows into the Drin. Aside from the river and the region it flows through, there is also a village of some 150 houses of the same name. It is inhabited solely by Muslims and is situated three hours from the Drin. On the left bank of the Luma, as soon as one crosses the bridge, one arrives at the famed Kulla e Lumës [Ljuma-Kula], the stone tower which stands at the spot where the Luma flows into the Drin. It is exactly six hours from Prizren to this kulla. In the middle of the narrow trail, on a pile of leaves, was the Büyük başı [Bulyuk-Baši], the veritable lord of the trail. He sat there with his legs crossed, and with a Martini rifle on his knees. He had a devious and cruel expression on his face as he looked out, and was smoking the thick, short stub of a cigarette. He stood up for no one, nor did he get out of the way. We greeted him politely and he waved his hand at us, which meant either that we could pass or that we could sit down beside him. We chose the latter, and sat down near him, offered him tobacco, ordered coffee and struck up a conversation as if we were old acquaintances. He seemed to be very satisfied by our tales of Albania because when we left him, he was in a better mood, but continued to sit there on his throne of leaves. Luma is a kajmakamat of its own of the Sanjak of Prizren and stretches to the Vizier’s Bridge in the west. Its southwestern border is on the Black Drin, and the mountains make up the western edge of it. The kajmakam resides in the village of Bican or Bicaj where the military barracks are also located. Luma is also a bajrak of its own. The region is fertile and has enough water, but there are not many people. A good number of the men die in blood feuds or in raids on the neighbouring regions. Up until the eighteenth century they spoke a mixture of Croatian and Bulgarian here. Nowadays they are all Muslims and all speak Albanian. When we left the kulla, we proceeded along the left bank of the Drin River until we got to the Black Drin coming in from the south and joining the White Drin. We crossed a bridge here and somewhat farther down, on the plain of Brut, we got to the Vizier’s Bridge which, as I mentioned earlier, spans the united Drin. The Vizier’s Bridge is an attractive and solid construction consisting of eighteen arches of various lengths. The three arches in the middle are the largest, with the length of the other arches on the two sides gradually decreasing. At the foot of the bridge begins the small but quite attractive plain of Brut, named after the village that is situated on the right bank of the Drin. On the plain of Brut one can see the remnants of the old Roman military road, the Via Egnatia. The modern trail goes in the same direction. In one hour we reached Han Brut [The Inn of Brut] where we met a talkative and skilled hadji, an Albanian from Luma, and a lot of waggoners who were on their way either from Shkodra to Prizren or in the other direction. We had to spend the night in this han. Early the next morning, we set off and rode along the banks of the Drin to Han Spas where we had to leave the river to cross the high Albanian mountains that lead to Dukagjini [Dukadjini] and Mirdita. Han Spas is located on the left bank of the Drin and is fifteen hours from Prizren and three hours from the Vizier’s Bridge. Not far from the han is the village of the same name, and somewhat below it is where the Kruma [Gruma] River flows into the Drin. Along this river is the trail to Gjakova which takes about six hours. Up on a high cliff on the other side of the Drin we could see the ruins of the castle of Lekë Dukagjini, which once used to defend the gorges and passes from foes. We set off early the next day and began immediately to climb the steep and stony ridge of Qafa e Malit [Chafa Malit] that was clothed in beautiful fir and pine trees. For this reason, they make pine torches here to provide light for poorer settlements, and export pitch from the valleys of the Fan River. On all of our journey we never encountered a trail that was anywhere as perilous as the one from Flet to Puka [Buka]. We were up in the mountains and the trail was extremely narrow, dug right into the cliffs. Below us were chasms and ravines that were petrifying to look into. Those of us who could not keep their balance were down on all fours, crawling along the cliff side and staring up at the sky so as to avoid looking into the chasm below and getting dizzy. The poor, heavily loaded horses, on the other hand, managed to overcome all these difficulties, although it must be said that no year passes without loss. In the winter, when everything is covered in ice and snow, it happens that caravans take a whole month or even two to get across the mountains, whereas the whole journey can be made in three days in the summer. We reached the inn of Puka that evening, exhausted and ill-humoured. Even today, the Albanians call Puka the qytet [gjitet], i.e. the ‘city.’ It may indeed have been a city in the past because there was a stop here on the Via Egnatia between Lezha [Alessio] and Spas on the Drin. The seat of the Dukagjin administration was also here and Puka is still the most important settlement between the mountains and Scutari. The region must be kept under strict control. Due to its position, Puka is eminently suited for this. From the mountains around Puka comes the Gomsiqja [Gomsiche] River that led us down into the valley of Zadrima. There is a kajmakam in Puka and a kulla for the troops that are supposed to guard the road between the mountains and Janina. The village now has only a few houses and a mosque. This is where Zadrima begins.